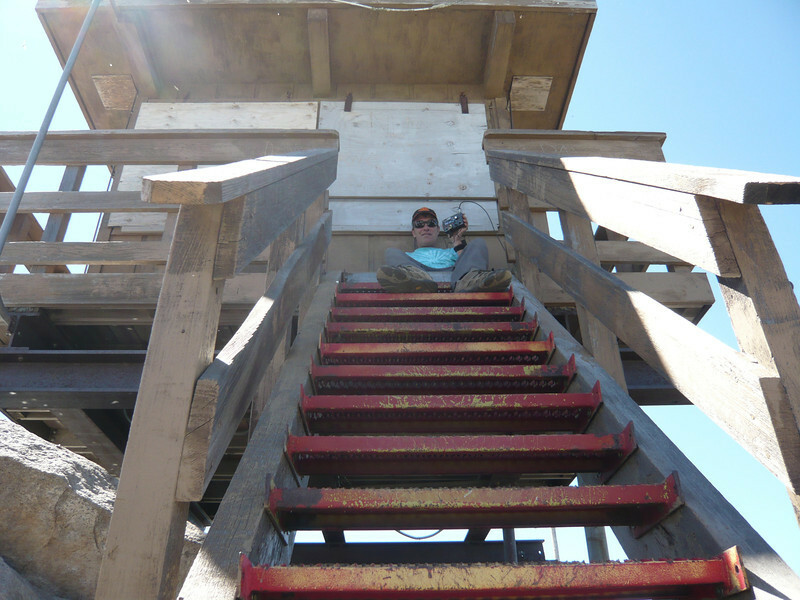 I ran my 50' of RG-58 coax around to the opposite corner of the lookout deck where it was nice and shady. I ended up operating a few feet from that corner, right at the top of the stairs for more leg room. I wasn't worried about blocking the stairs as I didn't expect any visitors that early in the morning, on a weekday, 14 miles from pavement, up a rough road where 4-wheel drive can come in real handy (and no one came by). I'm holding up the HB1B transceiver.